Stephanie Astley grew up in North Carolina, lived in Atlanta, GA and currently resides in York, PA. She graduated from Peace College as well as Mercer University. She has spent all of her professional career in Education. 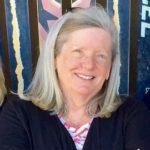 Stephanie began her career teaching preschool, was an After School Programs Director as well as taught 2nd grade at St. Martin’s Episcopal School until 2007. She currently teaches at Redeemer Parish Day School in Baltimore, MD. She has two daughters, Sarah-Helms and Betsy, whom both are First Termers. (At Large seat 2, term expires December 2020.) Contact Stephanie McPherson Astley. Years at Alleghany: Stephanie began her days at Alleghany in 1987 as a Unit 2 Junior Camper, and was a camper for seven years. Stephanie was on staff from 1994-1999 as a JC of 1994, Store worker, Unit Head, Head of the Waterfront, Midway Mom and Upstart Mom. After two summers away, Stephanie returned to camp from 2002-2006 as Head of Senior Camp in 2002, Head of the Store, Head Hooper as well as a Mini Camp counselor during that time. Stephanie was the Assistant Head of Family Camp from 2015-2018 and was recently named the Head for 2019. Gained from ‘Ghany:The things that I have gained from ‘Ghany are countless and the list is long! I can’t imagine not making a bed without a hospital corner or having good sportsmanship and shaking hands with my opponent. I was able to learn from my peers on how to be a leader, how to live with others, and how to work as a team. I also discovered my love for the Greenbrier River and outdoors at Alleghany. Most looking forward to: I’m so excited about the opportunity to give back to Alleghany and I am so honored to be a part of the CAAA Board for my second term. I’m looking forward to continuing to grow our membership, as well as reaching out to alumni through the events that we sponsor. I’m always looking for creative ways to get more ‘Ghany Girls and Guys involved in our wonderful association. Dona Deeks Boldt moved from Cincinnati to Atlanta at age 11. Donna graduated from the University of Georgia. She had spent her professional career in Distribution. First running Deeks & Co., Inc. as the 3rd generation owner of the family Chemical Distribution business. Most recently her husband, Jim and She started a new business in the craft industry where they launched DIAMOND DOTZ® -facet Art kits. Donna loves to learn new things- whether computer technologies, or her annual resolution to learn a new skill, be it learn to play the guitar, or learn to knit difficult patterns. Jim and Donna have 5 children between them and 5 grandchildren as well. Ashley Puchalla and Amanda Puchalla – 2 of their daughters were ‘Ghany girls for over 10 years. Contact Donna Deeks Boldt. 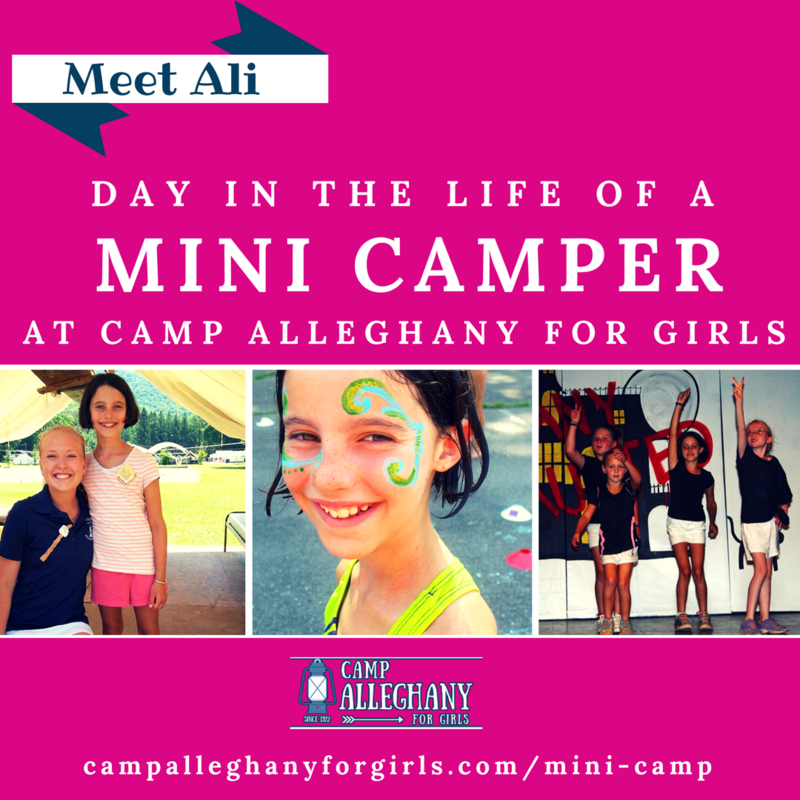 Years at Alleghany: Donna was first a camper in 1973 as a 9-year-old unit 2 camper. She was a camper for 5 years and a JC in 1978. While her daughters attended camp, she and Jim took both girls age group, who were full termers to the Greenbriar for changeover- for 10 years straight. She has been a Mini-Counselor all but one summer since 2014. Gained from ‘Ghany: Donna is a leader, which started at 11 at Alleghany as the Blue Team Captain. The experiences gained at camp are invaluable. Everything from respect for others time and space, talents, and and differences were all reinforced at Camp. Camp teaches, and more importantly allows, girls the space to figure things out for themselves- it helps with problem solving skills for the rest of life. She was able to try new things, and to this day will try most anything, and because of camp knows that doing it well isn’t the goal- it’s giving your best that matters. Most looking forward to: Being in the background to get more alumni involved and supportive of the camp we all love best! Years at Alleghany: 1990-2000 as a camper and counselor, JC of 1998. Attended or worked Family Camp 1986 – present. Gained from ‘Ghany: Not only have I made life-long friends from all over the world, but Alleghany truly taught me the spirit of giving, honor, and the importance of character. In my professional life, I credit Alleghany with providing me early practice in public speaking, the qualities of a respected leader, the courage to try new things, and the confidence to make decisions for a group. Most looking forward to: I’m excited to promote awareness of the CAAA mission among alumni, grow the membership base, and enable future ‘Ghany Girls to enjoy the many unique opportunities Alleghany can provide. (30s rep, term expires December 2019.) . 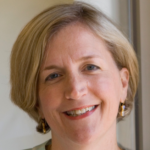 Elizabeth Riddle Hoover is Chief Technology Officer for Alexandria City Public Schools. She lives in Alexandria, Virginia with her husband, David, and two young daughters, Caroline and Madeline. Contact Elizabeth Hoover. Years at Alleghany: Elizabeth attended camp between 1981 and 1990 and was a JC of ’89. Five years ago she and her family attended Family Camp for the first time and it is now an annual vacation the whole family loves. Gained from ‘Ghany: Elizabeth believes that Alleghany provided her not only life-long friendships but also instilled values and beliefs that have influenced her personal and professional life. As such, she looks forward to watching her girls spend their summers on the Greenbrier River. Sally Ryland Duane lives in Louisville, Kentucky and is retired from PNC Bank after 37 years working in the Wealth Management Dept as a Trust Officer. Sally graduated from the University of Kentucky with a degree in Elementary Education (Go Cats! ), worked at Disney World, and ultimately settled in Louisville with her husband Joe. “Since I’ve retired I love to travel, do some volunteer work, and try to exercise regularly.” (60s rep, term expires December 2019). Contact Sally Duane. Years at Ghany: I grew up in Richmond, Virginia and began attending Alleghany in Junior Camp at age 11 with many classmates and friends from Collegiate. Probably most amazing was that I didn’t attend camp as a 16 but was asked to be a JC (We had only 6 in our group and two of us — one my best friend — skipped our 16 summer!) I continued to come back to camp all through college and quit two full times jobs after college to be a counselor until I finally had to settle down! I came back to Alleghany in the 80s first with Family Camp and then became a regular when my daughter Courtney started camp at 11 and we came at least three times a summer to drop off/pick up and visit. I was fortunate to be able to come last summer for the last week of camp when she was Senior Head of Camp and just helped out wherever I could. I worked two Mini Camp summers with my old friends Joan Hedgecock and Rooney Cargill and thoroughly enjoyed every minute. I was Head Hopper with Brooke. During my seven years as a Counselor, I taught Canoeing, was Head Hopper, and Upstart Mom my last two summers. In 1973 my friend Ann Washburn and I were the only two staff for Family Camp! (and the Green Team!). My husband Joe Duane loves Camp Alleghany, especially the LOL work week! Gained from ‘Ghany: Because my family moved to Kentucky from Richmond after high school, ‘Ghany really provided a continuity and allowed me to maintain my childhood friendships which I still have today. Cooper Dawson was my first and best boss! I have never come across the river without recognizing someone from my years at camp. I come from a family of Alleghany girls — my two aunts who are 91 and 93 talk to me about camp all the time and their daughters all have been to Alleghany as campers or counselors — there are nine of us! Most looking forward to: Keeping the Alleghany tradition going and providing a wonderful place for young women to thrive, unplug and expand their horizons. Years at Alleghany: Hannah first came to camp in 2004 in Unit 2 and enjoyed 7 years as a camper. She was then a staff member from 2011-2015 as a JC, Start-Up Mom, Senior Camp Unit Head, and JC Mom. Hannah also has attended family camp since 2013. Gained from ‘Ghany: Throughout the years I’ve gained many things from Camp! Along with life long friends and countless memories, camp gave me the skills to be confident and independent in day to day life. Lastly, camp gave me a home away from home, a place that I can always go back to and feel like I’ve never left! Most looking forward to: Giving back to camp by continuing to connect and involve alumni for the current and future campers! Jed Kincaid grew up in Suffolk, Virginia. He graduated from the University of Virginia with a degree in Electrical Engineering and spent five years in Washington, D.C. working as a telecommunications consultant before returning to UVa to get his MBA from the Darden Graduate School of Business. Jed moved to Sacramento, CA in 2006 to join Progressive Insurance, where he currently works as the Product Manager for Progressive’s private passenger auto insurance product for the state of California. Jed and his wife, Valerie, have a son, Rett (6 years old), and a daughter, Kate (3 years old). Jed is currently praying for a wet winter, so that we have water, but also so he can take his kids skiing! (Green Team alum) Contact Jed Kincaid. Years at Alleghany: Jed worked on the Green Team from 1994-1997. He spent three summers in the kitchen and one as the “river-man”. He’s also the alumni of quite a few Family Camps both before and after his time on the Green Team. Gained from ‘Ghany: Connection and common experience with his family — his two sisters were both Campers and Counselors at Alleghany and his brother preceded him on the Green Team; Great friendships and memories; invaluable exposure to the beauty of the Greenbrier Valley and the simpler things, as well as a little bit of hard work; and the privilege of getting to work for and spend some time with Cooper along with all the other great people at Alleghany. Most looking forward to: The ability to maintain a connection with Camp from so far away, while helping to make physical improvements as well as help maintain alumni connections. Most of all to helping to ensure access to those who want to enjoy the Camp Alleghany experience by helping develop and support the Scholarship fund. Elizabeth Dawson Shreckhise lives in Staunton, VA during the year with her husband Matt and sons Mason and Ellis. Formerly a School Counselor, she now is proudly working full time for Camp Alleghany as the Assistant Director. 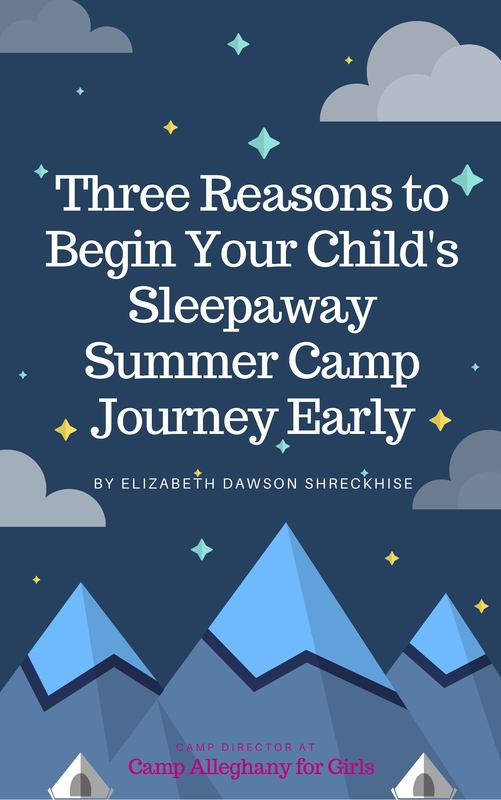 She assists her father, Sam Dawson, in outreach to new campers, hiring and interviewing staff, and helps keep the camp website current, writes and updates camp literature, and organizes and supervises much of the staff training and program planning for the summers. Most recently she launched Alleghany’s new online registration system, and is working on more projects to bring Alleghany into the 21st century while still preserving the history and tradition that ’Ghany is so deeply rooted in. (Camp Alleghany, Inc. representative, term expires December 2017.) Contact Elizabeth Dawson Shreckhise. Gained from ’Ghany: The confidence to be myself and the motivation to work tirelessly towards reaching my goals. I also learned how to work as a team, compromise, and share small living spaces with several other people! Most looking forward to: Connecting ’Ghany Girls and Guys of all ages from all places with each other; uniting together with a common goal of enriching each others’ and future campers’ lives. 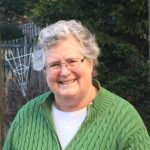 Years at Alleghany: Debbie started attending camp at age 11 in 1970. She spent six years as a camper, was a JC in 1976, and a Counselor for 11 years, spending her last two years as Head of Senior Camp. Debbie continued to attend camp as a Family Camper where she started to bring her family when her girls were just infants. Debbie has been a Mini Camp counselor for 14 years. Gained from ‘Ghany: I’ve gained so much. I don’t think I’d be the person I am today if I hadn’t attended ‘Ghany. ‘Ghany friends last a lifetime even if you don’t talk to them everyday. I also gained the self confidence, work ethic, and leadership skills that have made me successful in my career. Most Looking forward to: To continue to give back to ‘Ghany’ and be able to help provide the opportunity for new girls to learn and enjoy the magic that is ‘Ghany’.